So, after re-reading the "Weighted Incremental Algorithm" section on wikipedia, I ripped the original StatCounter code and and implemented a WeightedStatCounter class that calculates the statistics for an RDD of WeightedValues. 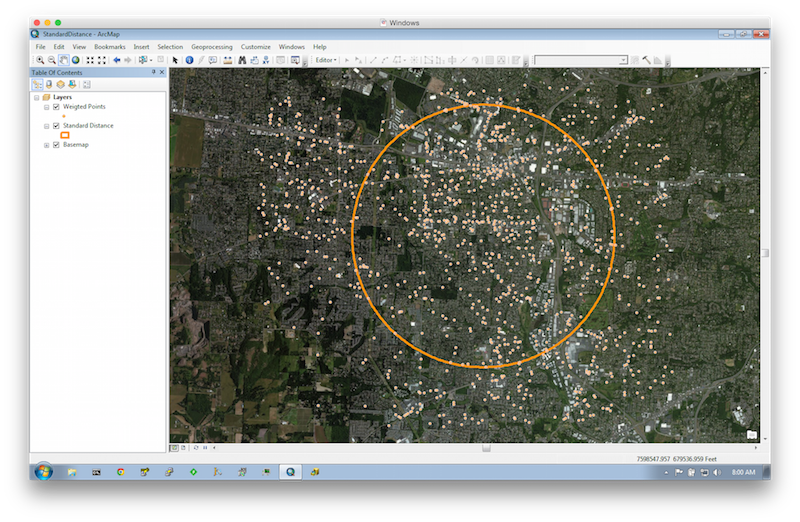 The above use case is based on the Standard Distance GeoProcessing function and generates a WKT Polygon that is converted to a Feature through an ArcPy Toolbox. Works like a charm, and like usual, all the source code can be found here.